Global warming will exacerbate soil droughts in Europe—droughts will last longer, affect greater areas, and have an impact on more people. If the Earth warms by three degrees Celsius, extreme events could become the normal state in the future. This scenario was described by an international team of scientists coordinated by the UFZ. 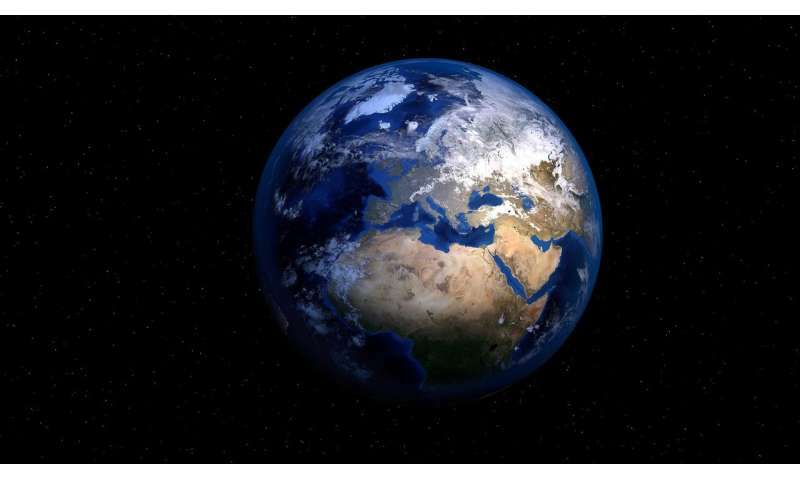 According to the modeling results, which involved scientists from the USA, the Netherlands and the United Kingdom in addition to the UFZ, if global warming rises by three degrees, the drought regions in Europe will expand from 13 percent to 26 percent of the total area compared to the reference period of 1971 to 2000. If efforts are successful in limiting warming to 1.5 degrees Celsius, as stipulated in the Paris Climate Protection Agreement, the drought regions in Europe can be limited to 19 percent of the total area. With the exception of Scandinavia, the duration of the largest droughts in Europe will also last three to four times longer than in the past. Up to 400 million people could then be affected. Negative consequences can be expected for the Mediterranean region, where the drought regions could expand from 28 percent of the area in the reference period to 49 percent of the area in the most extreme cases. The number of drought months per year will also increase significantly in Southern Europe: "In the event of a three-degree warming, we assume there will be 5.6 drought months per year; up to now, the number has been 2.1 months. For some parts of the Iberian Peninsula, we project that the drought could even last more than seven months," says UFZ hydrologist Dr. Luis Samaniego, one of the two main authors of the study. His colleague Dr. Stephan Thober, who co-wrote the study as the second main author, added: "A three-degree temperature rise also means that the water content in the soil would decline by 35 millimetres up to a depth of two metres. In other words, 35 000 cubic metres of water will no longer be available per square kilometre of land." This corresponds roughly to the water deficit experienced during the drought period that prevailed in the summer of 2003 throughout much of Europe. If the three-degrees scenario takes place, drought events of this intensity and extent could therefore occur twice as often in years ahead and become the normal state in many parts of Europe. In future, droughts would even far exceed this normal state; the impact on civil society and the economy would be severe. If, on the other hand, global warming increases by only 1.5 degrees Celsius, only 3.2 months of drought could be expected annually in the Mediterranean region and there would be a decline in the water content in the soil of about eight millimetres. According to the UFZ scientists, other regions in Europe would not be impacted quite as severely as the Mediterranean region—even if the temperature rises by three degrees Celsius. "In the Atlantic, Continental and Alpine regions, the drought areas will enlarge by less than ten percent of the total area," explains mathematician Stephan Thober. Conversely, in the Baltic states and Scandinavia, the projected increases in precipitation triggered by the global warming would even cause the drought-affected area to shrink by around three percent. For Germany as well, the warming would only have relatively minor consequences—with one constraint: "Here too, summers would be drier in the future than has been the case so far," says Thober. The UFZ researchers also stress that mankind can react to the expected spreading of droughts. "The effects of global warming can be reduced in part with some technical adjustments. However, these are costly," says Samaniego. The more certain way would be to implement the climate protection objectives of the Paris Agreement and thus reduce the negative effects on terrestrial droughts in Europe. Yeah, the climate changes, it's what chaotic systems do. it's gonna get a lot colder by and by. There are too many variables to make predictions like this. It is only propaganda.